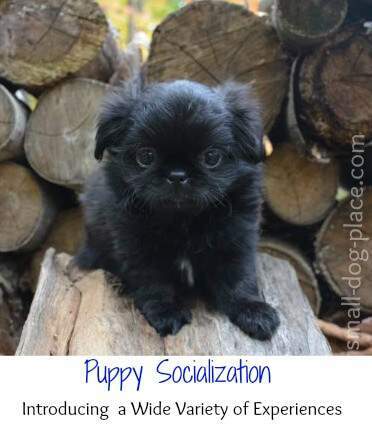 Have you ever wondered just how to socialize a puppy? Does it mean taking him or her to the dog park or introducing them to every neighbor, friend, or family member you have? Maybe it means taking weeks off from work to acclimate your puppy to every possible sight, sound, taste, texture, and smell. The process of how to socialize a puppy may actually be easier than you think. Puppy Socialization should start from birth but if you buy from a breeder or adopt, the chances are good that you will be getting your dog at a much later time, mostly likely at the age of 8 to 12 weeks. What goes on from the time your puppy is born until you get her makes a world of difference in how easy it will be for you to train, but even more critical is how the dog will be as an adult. 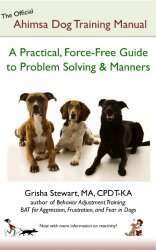 Grisha Stewart, MA, CPDT-KA, from Ahimsa Dog Training, in Seattle, WA and the author of A Practical, Force-Free Guide to Problem Solving and Manners suggests that very young puppies are just like sponges soaking up new information at an incredible speed until they reach 12 weeks of age. From 12-16 they continue to learn quickly, but not as fast as they did earlier. When you think about it, puppies go from birth where their only sense is smell and the instinct to seek warm and food, to a young puppy that can run and play, learn commands, be potty trained, get along with litter mates, and solve problems. In three short months, they accomplish as much as the average child does before entering kindergarten. What speeds up this development? Smarter dogs may benefit from an early enriched environment. 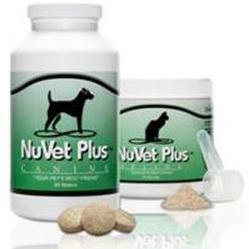 This is nothing new, but what is it that helps these puppies develop. 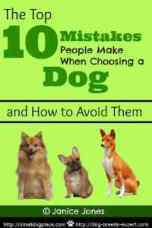 Margaret Huges is credited with creating the Puppy's Rule of Twelve. 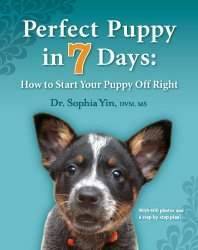 Adapting from the earlier work, the rule of 7 by Pat Schaap, a professional dog trainer who maintained that by the age of 7 weeks, a puppy should be exposed to 7 different surfaces, played with 7 different toys, been to 7 different locations and met 7 different people. The rule of 7 also goes on to propose that the puppy should have 7 different experiences in a variety of situation. For example, the puppy should be exposed to 7 challenges, eaten from 7 different types of containers, been fed in seven different locations, and so forth. 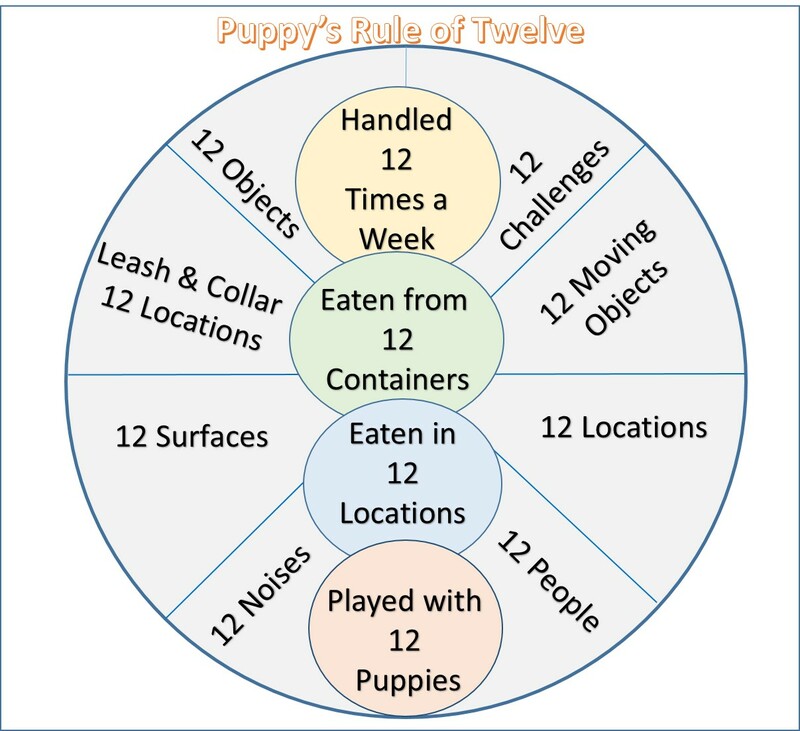 The Puppy's Rule of 12 which expands on the 7-week list to include activities up through 12 weeks of age. This presents a challenge for breeders who want to assure the puppies they are raising are well socialized. What are these 12 activities? Experienced 12 different surfaces: wood, carpet, tile, cement, linoleum, grass, wet grass, dirt, mud, puddles, deep pea gravel, grates, uneven surfaces, on a table, on a chair, etc. Played with 12 different objects: fuzzy toys, big and small balls, hard toys, funny sounding toys, wooden items, paper or cardboard items, milk jugs, metal items, car keys, etc. Experienced 12 different locations: front yard (daily), other people’s homes, schoolyard, lake, pond, river, boat, basement, elevator, car, moving car, garage, laundry room, kennel, veterinarian hospital (just to say hi and visit, lots of cookies, no vaccinations), grooming salon (just to say hi), etc. Met and played with 12 new people (outside of family): include children, adults (mostly men), elderly adults, people with wheelchairs, walkers, people with canes, crutches, hats, sunglasses, etc. Heard to 12 different noises (garage door opening, doorbell, children playing, babies screaming, big trucks, loud motorcycles, skateboards, washing machine, shopping carts, power boat, clapping, loud singing, pan dropping, horses neighing, vacuums, lawnmowers, birthday party, etc. Been exposed to 12 fast moving objects (don’t allow the puppy to chase): skateboards, roller-skates, bicycles, motorcycles, cars, people running, cats running, scooters, vacuums, children running, children playing soccer, squirrels, cats, horses, cows, etc. Experienced 12 different challenges: climb on, in, off, and around a box; go through a cardboard tunnel; climb up and down steps; climb over obstacles; play hid and seek; go in and out a doorway with a step up or down; exposed to an electric sliding door; umbrella; balloons; walk on a wobbly table (plank of wood with a small rock underneath); jump over a broom; climb over a log; bathtub (and bath); etc. Handled by owner (and family) 12 times a week: hold underarm (like a football), hold to chest, hold on floor near owner, hold in-between owner’s legs, hold head, look in ears and mouth, touch in between toes, hold and take temperature (ask veterinarian), hold like a baby, trim toenails, hold in lap, etc. Eaten from 12 different shaped containers: wobbly bowl, metal, cardboard box, paper, coffee cup, china, pie plate, plastic, frying pan, Kong, treat ball, spoon fed, paper bag, etc. Eaten in 12 different locations: backyard, front yard, crate, kitchen, basement, laundry room, bathroom, friend’s house, car, schoolyard, bathtub, up high (on the work bench), under an umbrella, etc. Been left alone safely, away from family and other animals (5-45 minutes) 12 times a week. All the experiences should be safe and positive and you should have complete control to intervene if need be. What if the puppy I'm buying hasn't experienced these things? How can I be sure that new puppy will have these experiences? How does a breeder, even a good breeder have enough time to do all these things? What if the puppy I'm buying hasn't experienced Puppy's Rule of 12? A Puppy whose has not experienced the rule of 12 can still learn. Even if you get a puppy after he has turned 12 weeks, don’t despair. Like humans, a dog’s brain is very malleable in the early weeks of life. This means that they can learn very quickly. With positive experiences, the puppy has a much greater chance of developing into a well-adjusted adult. On the other hand, puppies and older dogs continue to learn throughout their lifetime. The sooner, the better, but it is never too late. You can always print out this list and post it somewhere convenient. Try to provide your dog with as many different experiences as possible without overdoing it. Puppies need rest, relaxation and sleep, so anything you do should be around those periods of sleep and eating. Assuring that the Puppy has experiences with the rule of 12 depends on who you have chosen for your new puppy’s breeder. You will have more control of this if working with a breeder than if you adopt from a shelter or rescue. Puppies available for adoption may not even be relinquished by the time they turn 12 weeks. Remember also, that any puppies available from such sources are not likely to have begun life in ideal conditions. If you are working with a breeder, you can always ask if she/he has heard of Margaret Hughes’ Rule of 12. If not, give her the link to this page or print it out and give it to them. If they feel you are unreasonable, keep reading. How do breeders accomplish all this socialization? Before I could write this, I had to find out if this were actually doable. So, I took a litter of 4 Shih Tzu puppies, two boys, and two girls, and put them through the trials. To make it harder, I did this in the dead of winter where at least 6 inches of snow on the ground is the norm in my location. This turned out to be the easiest one of all, thanks to the internet. The puppies heard dogs barking, hand clapping, door bell ringing, vacuum cleaner and rug shampooer, snow blower, garbage trucks, sirens, a person singing, a person playing the guitar and then, all the sounds available free on the internet. This was harder than it sounds, especially in the dead of winter. We were able to experience only five different fast moving objects: Cars, Trucks, People Running, Dogs chasing each other, and the cat running from dog. The new puppy owners will need to get creative with this one! (This task is likely easier in the warmer months when people are out and about more frequently. This one was easy. Who can resist picking up a small breed puppy and hugging, cuddling and carrying around with you? No, still working on finding a collar and/or harness small enough to fit the puppy. I will have to rely on the new puppy owners to accomplish this task. Did I succeed with the 12 by 12? As you can see, many of my goals have been accomplished but not all. As of this writing, the puppies are seven weeks old. They will all go home by the time they are 8 weeks old. Will they all experience those 12 by 12? The chances are good that the new owners will be able to pick up where I left off, providing more experiences for their puppy by the time they reach 12 weeks of age. If I had not begun the process, the new owners would have had much more work to do. So, was it easy to accomplish 12 by 12? It is not impossible and it is not even that challenging, but the trick is being aware that it is important to offer different experiences to the puppy. The puppies were so well behaved. I did not hear much barking or yelping to get out of the pen because they were bored. Rather, the puppies wanted back into their beds because the challenges tired them out and all they wanted to do was curl up and go to sleep. May I suggest that a Challenged Puppy is a Good Puppy ? Many small dog lovers are so ecstatic to bring home a new puppy that all they want to do is hold the dog and carry him around. While this is a good way to bond with that new puppy, we need to realize that the puppy is an individual too and needs as many new experiences as possible. Provide those challenges and you'll not only have a good puppy, but a well adjusted adult. For more information on Rising Puppies (and adult dogs) may I suggest some of my favorite books. 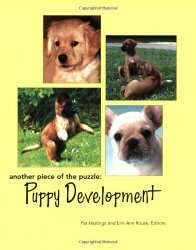 These books cover socialization, training, and puppy behavior and are a great resource for anyone with a puppy or who are thinking about getting a puppy.